Massiac followed the cuisine Diploma at Le Cordon Bleu Paris institute, which she completed in 2013. She went on to work as a culinary journalist in Holland. Nostalgic about her time in the French capital, and following 4 years in Holland, she has now returned to Paris for professional reasons. I have loved cooking ever since I was a child. I made things like apple crumble and caramelized popcorn when I was a little girl. I started living alone at the age of just 15, when my parents moved to Holland, and I therefore cooked a lot. I made simple dishes; preservative and additive free. That is how I learnt to cook, one step at a time. In order to get professional grounding, I headed to Le Cordon Bleu with the idea that, one day, I would open a café. I met many people from all over the world. I made friends at Le Cordon Bleu and went on to travel to India, Costa Rica, Australia, Vietnam and Japan to visit them in their own countries. I really enjoyed my year at Le Cordon Bleu because it was there that I discovered French gastronomy and all the best places to go in Paris. The lessons enabled me to learn the fundamentals of French cuisine and the Chefs’ enthusiasm for cuisine was infectious. After Le Cordon Bleu, I worked in cuisine for a butcher/delicatessen. I then decided to go into culinary journalism. Today, I develop recipes for fruit and vegetable companies in Holland. I am also a freelance writer for magazines on everything relating to gastronomy. Could you describe your new life in Hollande? I lived in Holland for 4 years after Le Cordon Bleu, but today love and work has brought me back to Paris. My boyfriend also studied at Le Cordon Bleu, many years before me. 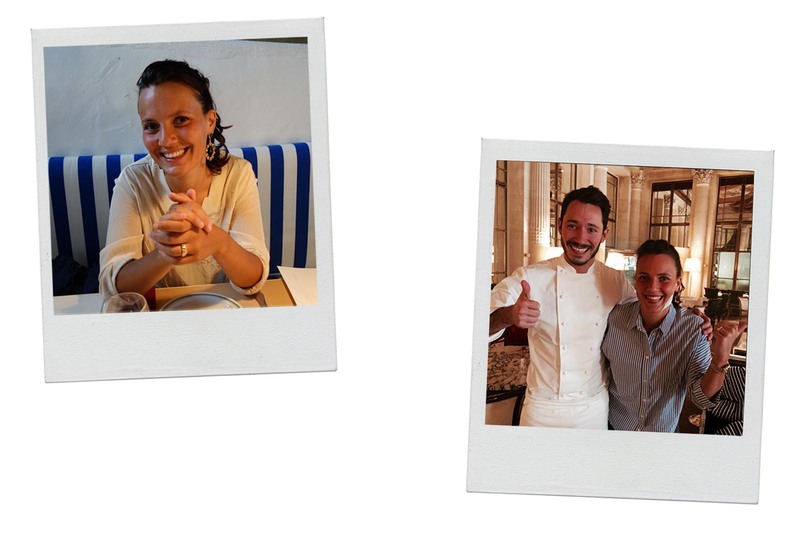 I met him through work, conducting an interview for a Chefs’ magazine in Holland. What advice would you give to future cuisiniers students? It is important to concentrate during lessons, but also to understand that Le Cordon Bleu does not directly train you to become a cuisine Chef. Le Cordon Bleu is, above all, a school which will open many doors for you. It is also important to make the most of Paris and its gastronomy, but especially to be aware that this amazing experience is going to go by in a flash! 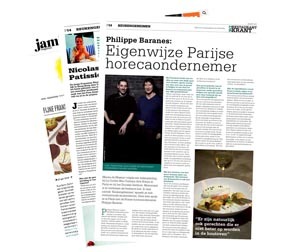 I plan to continue writing for Dutch magazines (for a Chefs’ magazine and a lifestyle magazine). Perhaps one day my boyfriend and I will open a restaurant somewhere in Europe.